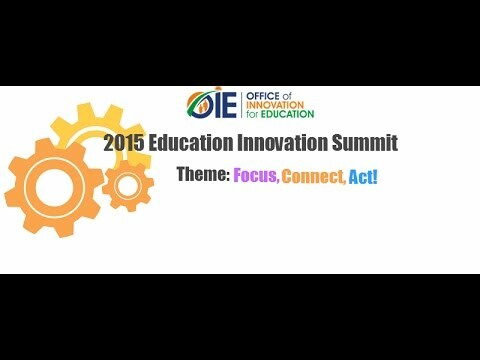 This page is a collection of videos from OIE's Education Summit(2015, 2016 and 2017). Click on the image to view videos. Explore topics that range from blended and personalized learning, to competency-based learning, to multiple pathways and flexible schedules. Learn from those who are doing! 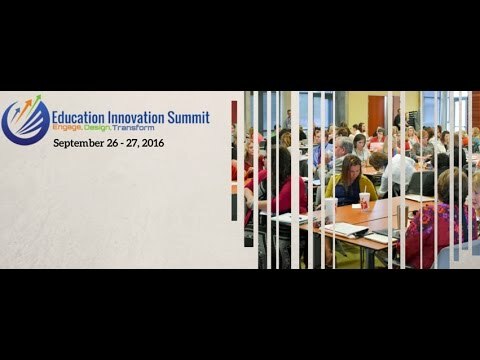 Special sessions designed for policy makers and leaders to advance excellence in education. If you are ready to design, plan or implement, you can select from sessions that focus more deeply on details. Go deep into strategies-learn what students are doing, teachers are doing, leaders are doing and what these innovations look like in action. Gain knowledge of resources, supportive structures, and routines that enable these innovations to work. Today's learners and educators are trapped in an education system that was designed to serve the needs of a by-gone era. We have spent decades pressuring people and demanding greater accountability. Yet, the problem we face is not one of effort and will not be solved through pressure; it is a problem with the design of the system itself. The time has come to rethink much of what we have assumed about teaching and learning. Our challenge is to develop high capacity, flexible learners, not just good students who are capable of being taught. 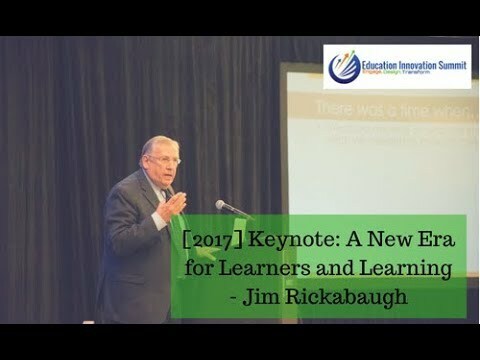 This opening session will explore the drivers of this new era for learners and learning. Despite the myth of "digital natives," most of my students have very little experience using technology as anything more than a consumer device. It doesn't have to be this way. By using a design thinking framework, teachers can foster creative thinking in every content area and help students develop a maker mindset. Genius Hour (or 20% Time) has become a popular initiative within some of the most innovative companies in the world. But how do we actually pull this off in the classroom? What does it look like for standards alignment and assessment? What types of structures do we need to create to facilitate meaningful student inquiry? How do we organize it? What changes do we need to make in procedures and classroom management? In this workshop, we explore the nitty gritty details of Genius Hour through design thinking. This session will feature a brief introductory presentation on the history of the Institute for Personalized Learning and practical strategies on how to use Tapping to Power of Personalized Learning. The remaining time will feature an extended conversation about the issues, opportunities, skills and strategies associated with introducing and growing personalized learning. Bring your experiences, questions and insights. This session will introduce attendees to the topic of social-emotional learning (SEL), provide recent examples of SEL measurement in action, and explain how ESSA enables the advancement of SEL at the state and local levels. In particular, the session will address the following questions: What is SEL and why does it matter? How can SEL be assessed? What steps can local educators take to embed SEL measures in schools? What policies are states pursuing to incorporate SEL within their systems? How can SEL measures work to support all students and advance equity? Join Dr. Ryan Krohn, Director of the Institute for Personalized Learning, for an interactive conversation centered around the relationship between function and design. Explore how improvement and efficiency efforts, instead of core purpose, contributed to the decline, and even extinction, of major companies/organizations. Connect the why behind personalized learning to an intentional how. 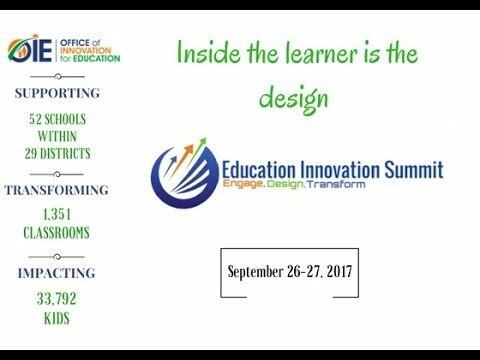 Participants will learn about how schools and districts across the nation are building an infrastructure for the learner. 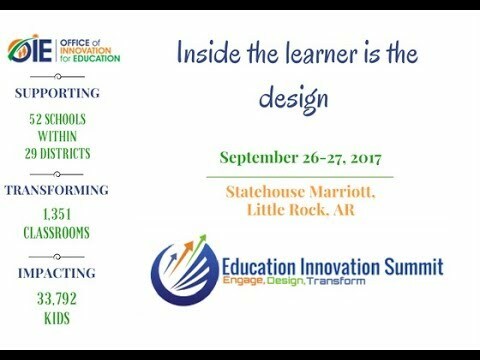 Leave the session with practical strategies for re-framing your personalized learning vision and for shifting your organization's paradigm. Access to high-quality teaching and learning opportunities should be a rite of passage for all American children. Instead, we see varied and disparate gaps not only in academic achievement across our nation's public education system, but gaps in life outcomes as well. This session will leverage educational equity documents produced by national organizations such as the Council of Chief State School Officers (CCSSO) and the International Association for K-12 Online Learning (iNACOL) in order to help teachers, school leaders, and district leaders create a common ground about what is and what isn't educational equity as well as how we can advance it in a way that benefits all children. 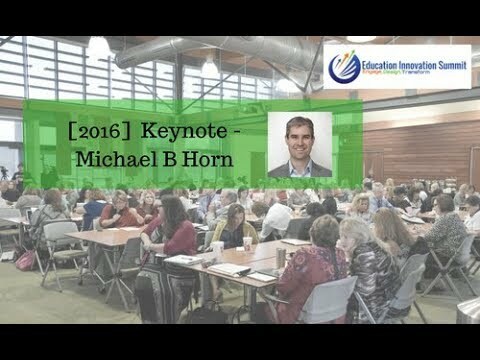 In his keynote address, Michael Horn will describe the unprecedented opportunity educators have to transform Arkansas' school system into a student-centered one that allows all children to fulfill their human potential thanks to the confluence of policy and technology. 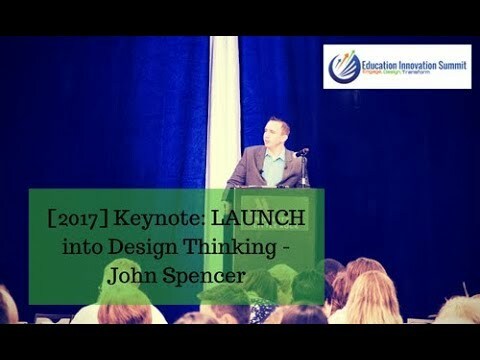 He will introduce a design process that educators can use to seize this opportunity and showcase how educators can use it to create blended-learning environments that can personalize learning for all students. 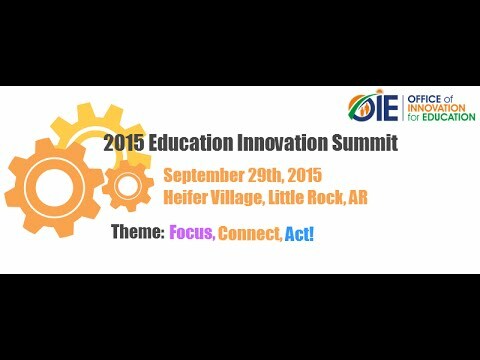 Opening Keynote -How To Set Your School on F.I.R.E.! Buddy Berry will take us through his journey in reimagining Eminence Independent Schools to design a next generation "Dream School" rooted in personalized learning, and centered around innovation and creativity. The Eminence Independent school district has redesigned its instructional experience for kindergarten through 12th-grade students with its Framework of Innovation for Reinventing Education model using online, blended and competency-based education in their quest to be the Disney World of Schools. Eminence has utilized technology as the main driver for their success combined with Yes, And thinking; Surprise and Delight; and Next Generation Skills. Designing the School of the Future..Today! Session will focus on how to implement a "best practice" approach to teaching through "next practice" systems. Highlights will include how to use technology to drive student engagement, blended classrooms, prescribed learning, student collaboration, critical thinking, and much more. Come prepared with your biggest obstacles as we try to revolutionize learning in your district or school forever! Participants will dive deeper into CBE and the components of the Change Cycle and Leadership responsibilities which include: influence, persistence, moral imperative, the "Tradition Transition and Transformational Instrument" Student Voice and Choice and Agency and the evolutionary road map of plan, do, check and adjust. Each participant will reflect upon and develop a personal strategic plan to ensure community acceptance and support as well as an understanding of culture change and the "unlearning process". Are you thinking about implementing blended learning in your classroom or district? How can you create and grow internal resources to establish local expertise and save on costs? Whether you are a teacher or education leader, you will gain an understanding of blended learning PD, OER, and leveraging current/free resources. Discussions will address practical PD, access, & equity. Practitioners will share best practice and participants will be enrolled in an Intro to Blended Learning PD course. What tools can you use to support independent and collaborative learning and extend the learning beyond the classroom? Have you created your toolbox with key applications that can support blended learning? How accessible is the technology for students? What cost, if any, are involved? Are the tools easy to use is there support for you and the students? In this session participants will see why a few application can be used for core needs and can be used consistently. Participants will be introduced to technology that can facilitate course management, enrich the student learning experiences and support self-directed learning. Multiple Pathways to Graduation: What do we mean and could this be done in Arkansas? At EXPLORE, the work of transforming schools from an industrial, assembly line model to a modern, learner-centered and learning focused approach must begin at the nexus of learning and teaching. By personalizing learning, we create a circumstance where we can take advantage of learner strengths. When we have a deep understanding of each learner, we can determine the correct blend of learning modalities and strategies to ensure success for each learner. It involves much more than adopting an expanded set of instructional skills and strategies. It is not just one more thing that educators are asked to do. In reality, this transformation is about approaching the work of learning and teaching differently. Our work is to make these connections predictable, which can only happen if we have a rich understanding of the learner, what motivates, where interest lies, what is ready to be learned, and what connections will likely be made and stick. It also requires that we include the learner as a key contributor to their learning. Leading Transformational Change in Education: "Getting beyond just Getting Better"
Leading Transformational Change in Education: "Getting beyond just Getting Better" Strategies for thinking and leading beyond incremental, incidental improvement. The primary function has changed...have you? Continuous improvement is important, but often is inadequate. We must be sure we are working on the right things, things that have the potential to make a real difference for learning and achievement. Getting better at the wrong thing - that will not deliver the results we need - is a waste of time, effort and resources. Innovation that represents transformation often must precede effective incremental improvement. This session will provide practical strategies for breakthrough thinking and operationalizing transformative approaches. The emergence of personalized learning as a transformative innovation will be used to explain and demonstrate the process of engaging in and leading transformative innovation. What is a Learner Profile and What Do I Do with It? In education today we are data rich. We have multiple data points on student achievement, but what data is the most valuable in engaging learners and increasing motivation? In this session you will be challenged to consider your definition and use of data to define success. We will look at the how data is used in a student centered instruction cycle and explore how a well established Learner Profile is used for self reflection and goal setting to make key engagement factors visible. F.L.I.G.H.T: (Facilitated Learning through Integration, Guidance, High Expectations and Technology).At the FLIGHT ACADEMY, learning is an autonomous activity, initiated and controlled by the learner. The same stimulus presented to multiple learners may result in learning for some, but not others. For learning to occur, there needs to be a connection, interaction or context identified. Our work is to make these connections predictable, which can only happen if we have a rich understanding of the learner, what motivates, where interest lies, what is ready to be learned, and what connections will likely be made and stick. It also requires that we include the learner as a key contributor to their learning. Student engagement is the heart of Charlotte Danielson's Framework for Teaching. In this session, learn how a middle school has implemented real-life, project-based cross-curricular learning expeditions tied to the state frameworks and designed to engage the local community. Participants will be presented a six step process of how to create the expeditions and learn about the school structures, instructional strategies, and student expectations critical to creating a highly engaging, deep learning experience for students. Opening Keynote -What is a school without bells? Innovation is about more than what and how -it is a mindset. This session will set the stage for gaining and sharing an innovation mindset. How do you overcome them? This session will serve as an overview of how to get started. Learn about the do's and don'ts as you begin to transform your classroom and school. Attendees will discuss the idea of change vs. transformation and perceived vs. real barriers in school redesign. Attendees will also have an opportunity to consider how they can incorporate aspects of personalized learning in their classrooms, even if their schools are not ready to transform. The bottom line -Why is innovation worth it? Learn how personalizing learning has improved results for students, and how success at Innovations Early College High School has led to more options for students in other schools in the district. What is it, really? How is it different from prior initiatives? This session will provide attendees with an in depth overview of the current pedagogical shift of education. Attendees will establish a common language and gain a basic understanding of what it means to personalize the learning for students in their school. Can standards and innovation live together in the same classrooms? The teachers and leaders of the Expeditionary Learning network resoundingly say "yes!" In this session we will explore the relationship between rigor and joyous learning -- they are not as dichotomous as you might think. Participants will analyze examples of lessons and student work that show that academic challenge and intellectual "fun" can lead to mastery of knowledge and skills, the development of character, and the capacity to create high-quality work. This session will also highlight a grant-funded opportunity to work with Expeditionary Learning through their Teacher Potential Project. What does competency-based mean? Why are so many people talking about it? What could it mean for my classroom, school, or district? This session will focus on the growing competency-based learning movement. What are the characteristics of competency-based learning? What are some of the advantages of using competency-based learning strategies? How is this new movement different from other forms of it in the past? What are barriers to it and what are some factors that can help you make it happen? PBL seems to be all the rage. Just what is PBL and how can it be used to meet the state standards and the needs of your students? PBL is being used along a continuum from microscale in classrooms to macroscale across schools and districts. Participants in this session will learn the differences between Project Based Learning and Problem Based Learning, key components for designing effective Project Based Units, and how to implement PBL if you are the 'lone wolf' trying it in your building. What does a personalized environment look like? What does it look when you create this? This session will include leaders from outside Arkansas, from big and small systems, to show how it can be done in different places with different laws, rules, and resources.